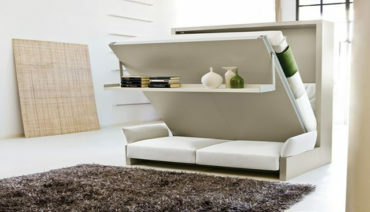 The newest trend to conserve space and have an appealing and cool room is a wall beds. Closets Direct can help you to create a room that can transform from a regular room to a guest room quickly with a wall bed. Even if you have a smaller apartment and need Clifton, NJ wall beds, we can help. Closets Direct can assist you in converting any room from what it is now to what it can be. Wall beds have returned to the forefront of interior design to allow for additional space in rooms so that you can have more functionality. We have the skills and access to all the accessories to create a special room and design for you. Our design specialists will come to your home or apartment and look over the situation that we are presented with. After a discussion with you on what you have in mind, we will go to work looking at the space, drafting up some ideas, and taking measurements. This is a fun and important time to brainstorm together so we can get the very best design and transformation for you. Once we have completed with the consultation, we will complete a 3D rendering of our project. We will present it to you within 2 days so you can see the amazing results. If the design works for you, then we are on our way to creating a wonderful room with everything you want and need. 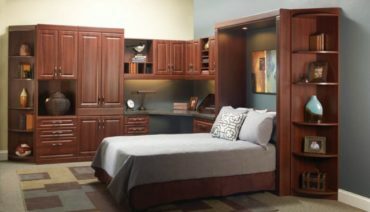 Wall beds are tricky and not everyone can pull off those designs, but Closets Direct is fully capable and ready to create a custom room with this trendy hidden bed. Closets Direct knows you will be surprised on a number of levels. You will be amazed at how we can transform your room with a new look and to be exceptionally functional, but you will also be pleasantly surprised by our estimate. If you have received an estimate from another company, you will see how much of a value we give you for our price. Our exceptional skills and work far exceed the price of our estimate. Our over 1000 satisfied customers support our claim that we do everything we can to meet and exceed our customers’ design needs. From exciting designs, elegant finishes, and unique accessories, we will make sure you are amazed and pleased with our designs every time. The consultation process is for us to examine your room, but it is also for us to connect with our customers on a personal level and get a true feel of what they are looking for. Closets Direct wants to be your next design solution. We have the skills and experience to transform your room to be a special place for you. Let us create your Clifton, NJ wall beds design so that you will not have to worry about where visitors will stay. Call us today so we can get to work for you.